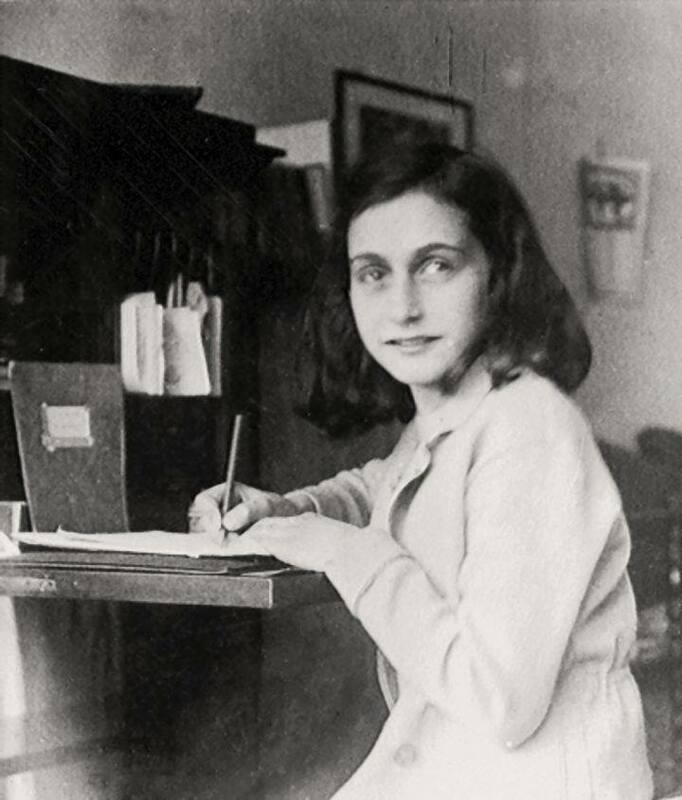 On this day in History, 12 June 1942, a young Jewish girl living in Amsterdam receives a diary on her thirteenth birthday. The diary would later become one of the most famous diaries ever written. “The Diary of Anne Frank”. Her parents gave her a diary with a red checked cover, her favorite present. “I hope I will be able to confide everything to you, as I have never been able to confide in anyone, and I hope you will be a great source of comfort and support”, Anne wrote in her diary the same day. Today marks what would have been Anne Frank’s 84th birthday. A month after receiving the diary, she and her family went into hiding from the Nazis in rooms behind her father’s office. For two years, the Franks and four other families hid, fed and cared for by Gentile friends. The families were discovered by the Gestapo, which had been tipped off, in 1944. The Franks were taken to Auschwitz, where Anne’s mother died. Friends in Amsterdam searched the rooms and found Anne’s diary hidden away. Anne and her sister were transferred to another camp, Bergen-Belsen, where Anne died of typhus a month before the war ended. Anne’s father survived Auschwitz and published Anne’s diary in 1947 as The Diary of a Young Girl. The book has been translated into more than 60 languages. Now that is downright weird…I am sitting in my living room having just finished rearranging my ‘wartime’ books including Anne Franks Diary which I flicked through and placed on the table ready to re-read ! I want my daughter to read it too. My daughter paid a visit to Anne Franks house in Amsterdam just last week and found it very moving. When my daughter and I visited the house where the Franks lived in Amsterdam, it was difficult to experience it and not cry. Anne’s innate optimism teaches us to believe in the goodness of others, no matter what. If she can, how can we do otherwise? Combined with this post, a very moving photograph… I’m ashamed to say I have never read Anne Frank’s diary, even though my father lived through those years, in Holland, and was actually sent to a concentration camp in the last year of the war. He wasn’t Jewish, however, and was released about six weeks later. I think now is the time to finally read Anne Frank’s Diary. My eldest daughter who is nearly 12 (not allowed to say 11!!) has just brought the diary home from school to read, so i will also be reading it too, have seen tv programmes about Anne and found it astonishing that these people lived so long in hiding! What an intelligent girl she was.